For organizations of all kinds including yours, information represents the memory, coordination and movements that power day-to-day operations. In other words, it is how you Think. We can help you manage information to maximize its value and minimize your risk. Whether you are a tech company, manufacturer, or business of any size, you need to get information to the right people in the business at the right price. Whether it is building the strategy or implementing a platform, we can help. Keeping track of customer requests or applications can be time-consuming and inefficient. We can help you move to paperless processes. We offer process optimization services as well as a platform designed to manage records. School boards, higher education, and education services of any kind all have unique challenges for managing information. We know because we have been helping overcome these challenges since 2002. For healthcare, biotech or medical device companies, electronic information management is the key to reducing gaps as sensitive information moves through a convoluted regulatory landscape. All levels of government need a strategy for managing records and the right platform. We can help, whether the issues are complex multi-town workflows or if you are just one administrative centre – we have done it. All non-profits and charities need to reduce costs and increase efficiencies. The problem is meeting your complex needs for keeping track of donors, volunteers, and employees. We can help design the workflows to solve the problem. Upon moving to the Municipality of Bayham as CAO in 2014, Paul knew he needed to empower his limited staff by automating basic repetitive processes into a single system. 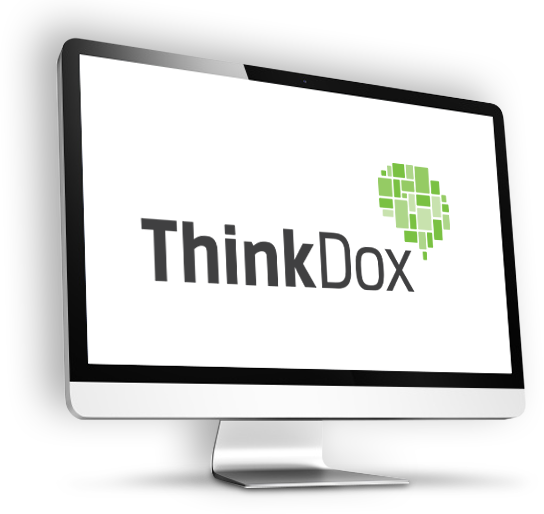 He chose ThinkDox to help build his system because he knew we would help throughout the life of his system. Information is more than just documents or data. It could be historical information that may be on microfiche or backup tapes or in an e-archive. Day-to-day information work is stored in structured systems like an ERP or CRM. And none of those sources can be truly understood without the spreadsheets, emails, images, and documents generated by people. All of these sources of information are important to your organization. It all needs to be strategically managed. Information management is not just about protecting records. It is about the classification and organization of information so that the right people have access when they need it. As a Laserfiche ECM implementer, we can sell software that gives you the tools to manage the information and processes that your company needs to make information an asset. If you needs go beyond ECM, we can provide guidance and services for any information management software or we can develop the custom application that you need. The value of electronic information management is context—the right information at the right time. We don’t just sell you the software, we will help you throughout the whole implementation and beyond. We will provide full information management services to ensure that the platform we design evolves with you and at a rate you can handle. Whether it is translating paper processes to electronic or configuring access to meet your governance needs, we can provide the strategy and then make sure it is implemented as you envision it. Our goal is a practical, flexible solution that will be the long-term platform for all of your information management needs. We want your end result to Simplify information access, Automate mundane, unnecessary steps, and Organize the information so it can be found—intuitive without disrupting work. We are willing to put the work in to ensure you have not only the platform but the know-how to maximize information to its fullest. We work continuously with our clients to ensure they have maximized their investment—in software and in trusting us.